On the way to a routine doctor’s appointment, I called my mom to check in with her. She was filled with excitement as she spoke of her time with Jesus in Bible study that morning. I wish I could have recorded her detailed thoughts as she spoke of familiar scripture that went from ordinary to extraordinary. We’ve all had those aha moments of connection and a new purpose within the familiar. I’m readying a book on creativity and knowing our Creator as first and foremost as a creator who finds joy and purpose in creativity. As my mother spoke of all the things spoke into creation by God, I had a connection to my current reading. Since the beginning of mankind, we have been filled with the very breath of God–LIFE! We are different from animals and plants, because we have within us a longing for things beyond this world. As I breath in and out, I am praising my Creator, and I am longing for Him. I feel within me that future life. I shall most certainly rise toward the heavens. The nearer my approach to the end, the plainer is the sound of immortal symphonies of worlds which invite me. For half a century I have been translating my thoughts into prose and verse: history, philosophy, drama, romance, tradition, satire, ode, and song; all of these I have tried. But I feel I haven’t given utterance to the thousandth part of what lies within me. When I go to the grave I can say, as others have said, “My day’s work is done.” But I cannot say, “My life is done.” My work will recommence the next morning. The tomb is not a blind alley; it is a thoroughfare. It closes upon the twilight, but opens upon the dawn. Why does this matter? Each day you face, you can rise breathing and believing that God, your Creator, has created you to bring about His love, peace, and purpose within this world. You are not an accident or a bundle of mistakes that you can’t seem to change. 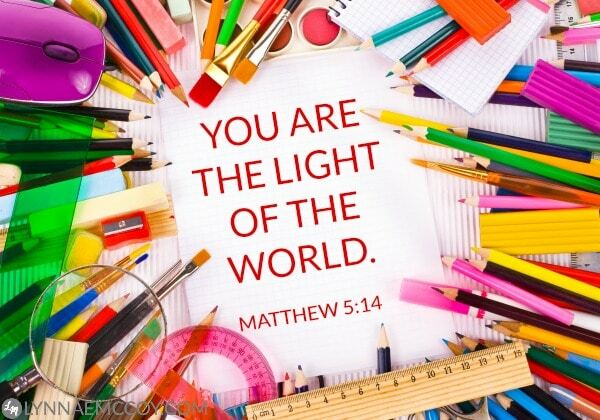 When you accept this knowledge you say to the darkness, that I am the light of the world! I, along with mankind, are here to bring God’s love–HIS LIFE! You physically carry this LIFE within you as His child. Accepting Him as Father, we begin to acknowledge and grow in this understanding. Taking this knowledge within your space within in our universe, I encourage you to embrace creativity as a new adventure! Whatever you are called to create within your home, workplace, or personal life, know that the God of our universe is the ultimate creator! His breath is in you! Can a normal activity now have deeper meaning? Can you venture out and take a class that will inspire creativity?